Chocolate Shoes and Wedding Blues - RNIB - Supporting Blind and Partially Sighted People. 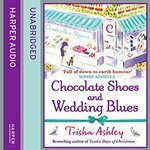 When Tansy Poole inherits a run-down shoe shop tucked away in the village of Sticklepond, 'Cinderella's Slippers' is born - providing the footwear to make any fairy-tale wedding come true...Carrying everything a bride would want to walk down the aisle in, Tansy's shop soon expands to carry shoe-themed wedding favours, bridesmaid gifts and even delicious chocolate shoes. It's the dream destination for any shoe-lover! 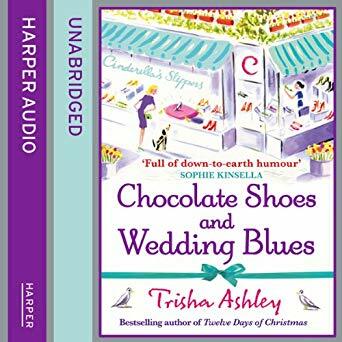 If only everything in her personal life could be as heavenly - but with a fiancé trying to make her fit into a size 8 wedding dress, not to mention the recent discovery of disturbing family revelations, Tansy takes refuge in the shop's success.